Across the United States and here in New England, adventurous cyclists are veering off well-traveled asphalt routes onto unpaved back roads, escaping from the speed and noise of traffic-clogged streets and pedaling into a bygone time when most roads were unpaved and the legendary climbs of the European Grand Tours were little more than goat trails. The romance and excitement of adventuring off the beaten path has drawn many riders into the dirtier side of road riding, onto routes over everything from divinely smooth dirt rollers between bucolic meadows to unmaintained, steep and eroded trenches through dense woods. Our regular shop rides take in some of the best and worst of these roads in the hills around Enfield, and we’re not the only ones out there. As interest in this kind of riding has grown so has the number of organized events that highlight the beauty and brutality of the New England countryside, including the Deerfield Dirt Road Randonee, Dirty 40, Tour of the Battenkill and Kearsarge Classic. Despite the popularity of these rides and races, many riders are handicapped by bicycles that are far from ideal for the challenges they present. Riding these rugged ribbons of hardpack and gravel may hold timeless appeal but the modern road bike has evolved into a highly specialized, pavement-specific racing machine that is ill-equipped for the grades and surfaces of the back roads across our region. 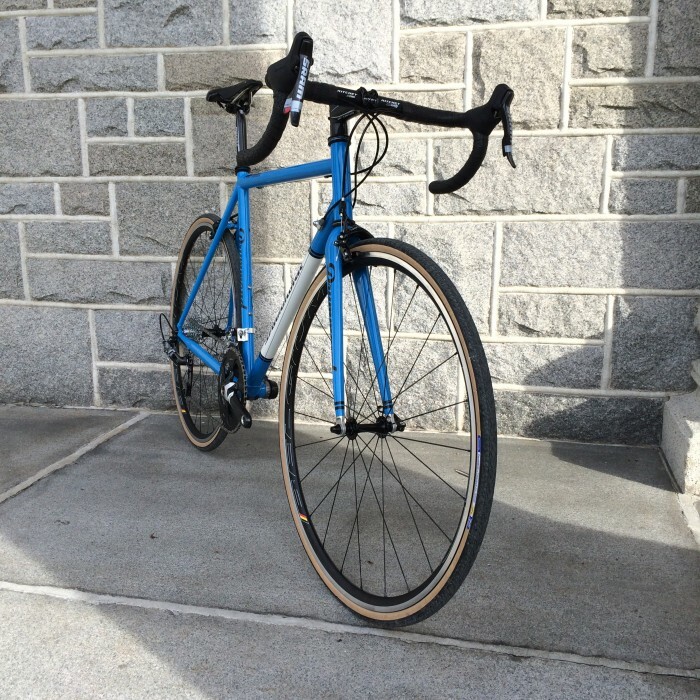 The ultra-stiff frames, huge gearing, extremely narrow tires and razor-sharp handling demanded by road racers are rarely ideal for the terrain found in the rugged hills of New Hampshire and Vermont. 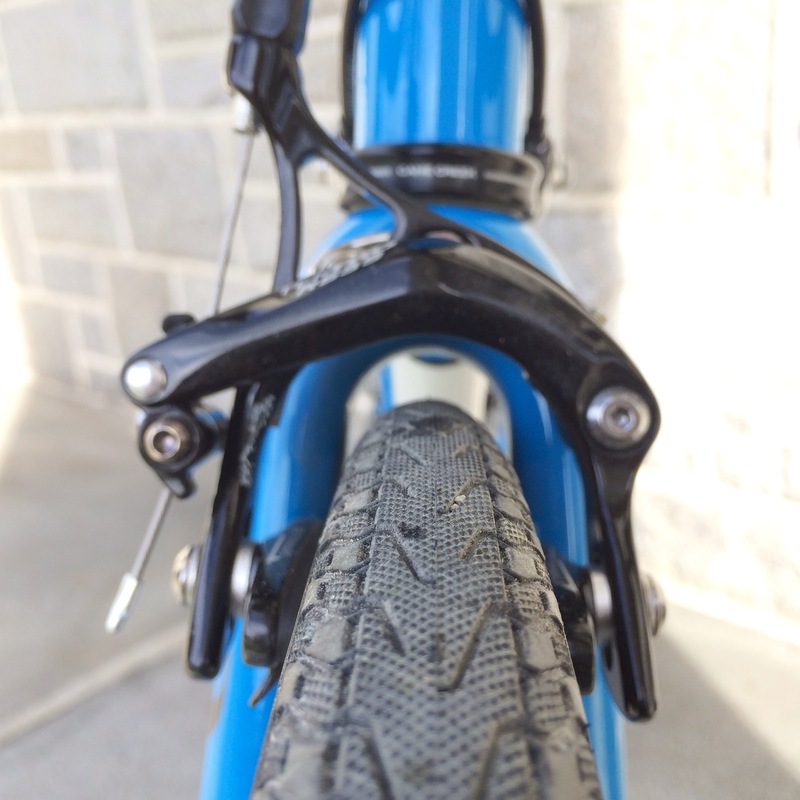 Many riders turn to cyclocross bikes for their low gearing and higher-volume tires but find that they miss the snappy handling, light weight and quick acceleration of their road bike. For most riders on any terrain that still resembles a road, the ideal setup combines the best attributes of modern road and cyclocross bikes by blending the agility and quickness of the road bike with the wider tires and greater stability of the ‘cross bike. 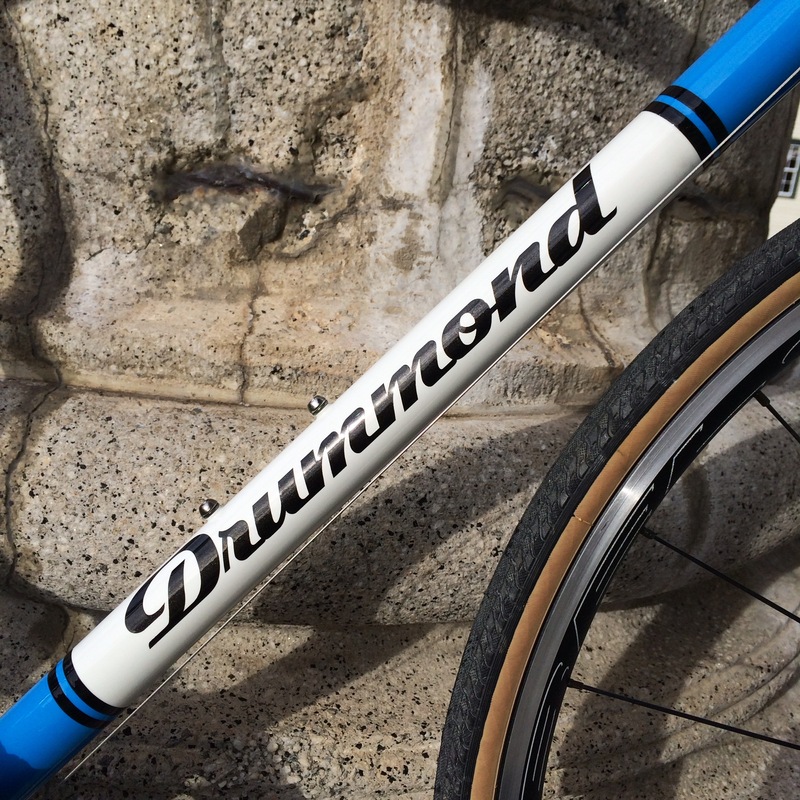 The two most recent builds to come out of the Drummond Cycles frame shop are designed to do just that by blending time-tested materials with modern technology and purposeful design. The lightweight, thin-walled Columbus steel tubing provides a lively, snappy feel while the carbon fiber fork smooths out rough roads and keeps weight to a minimum. 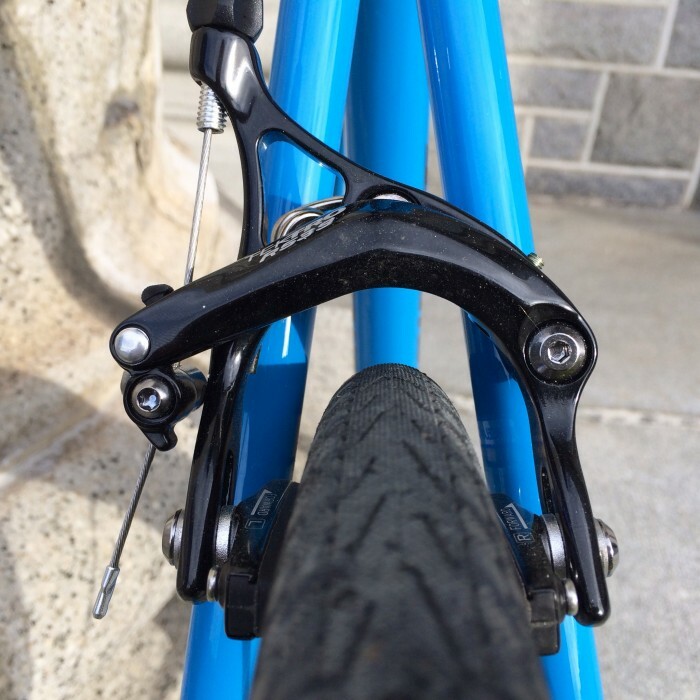 The frames are optimized for 700c x 28mm tires but offer generous clearance for rubber up to 32mm wide, providing greater traction and improved comfort over uneven surfaces. The chainstay bridges have also been eliminated to prevent collection of mud and debris ahead of the rear tire. The handling is designed to be neutral and intuitive without feeling overly twitchy, allowing the rider to precisely maneuver around obstacles while maintaining composure at high speed over rough ground. This bike is assembled with Sram’s clean and simple wide-range road gearing, combining compact 50-34t chainrings and an 11-32t cassette to allow a quick cadence up the steepest climbs without sacrificing speed on the flats. The extremely comfortable Ritchey WCS EvoCurve handlebars offer a wide range of useful hand positions; the oversized top section provides an ideal perch for navigating bumpy climbs. 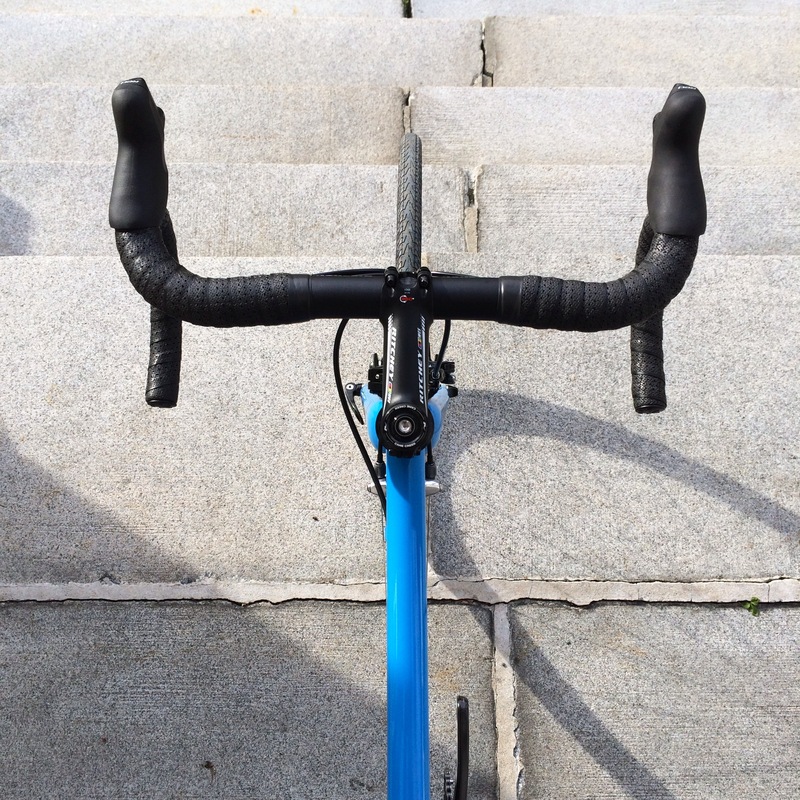 A Ritchey WCS260 alloy stem and WCS Carbon seatpost complete the cockpit. The frame’s qualities are complemented and enhanced by a set of our lightweight and reliable house-built wheels, featuring simple and durable KT cartridge-bearing hubs laced to a pair of HED’s stiff yet svelte Belgium rims. 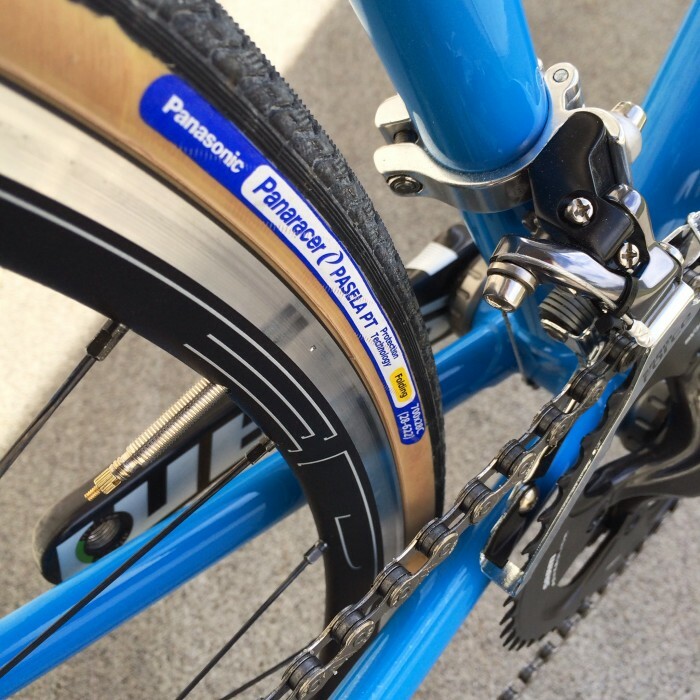 The Belgium has a wider internal cavity than traditional rims, allowing the supple but puncture-resistant Panaracer Pasela tires to spread out and really grab the ground. This machine is ready for adventure and to take on the upcoming Vermont Overland Grand Prix. It’s no surprise as the complete bike was recently delivered to the event’s organizer!